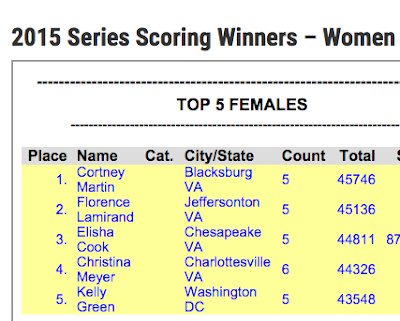 Cort the Sport: Yay! 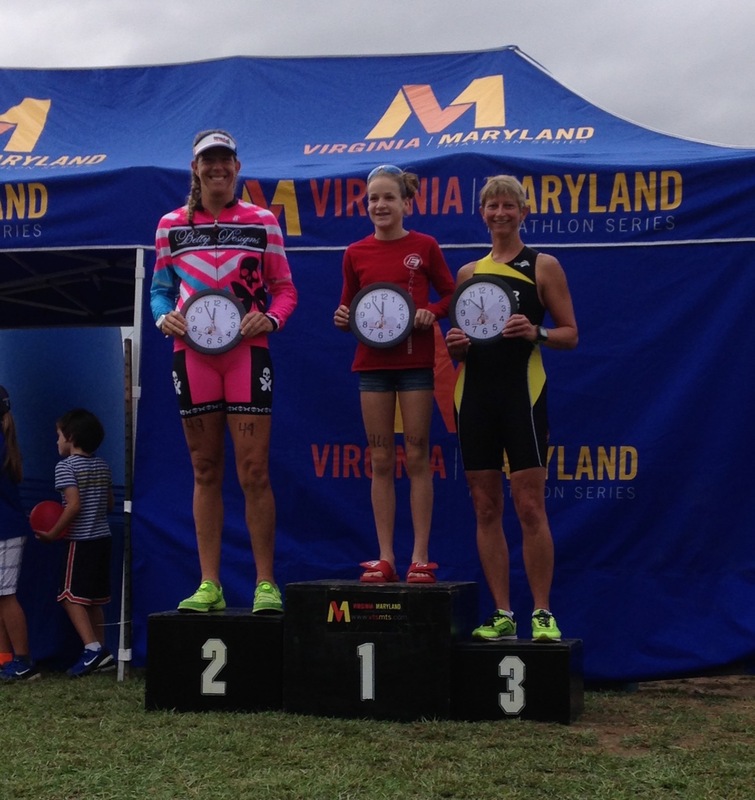 2015 VTSMTS 1st Overall Female >> New Cycling Kit! Yay! 2015 VTSMTS 1st Overall Female >> New Cycling Kit! This year I was extremely pleased and surprised to finish at the top of the female field for the 2015 Virginia Maryland Triathlon Series! To be eligible, one must race five or more races. 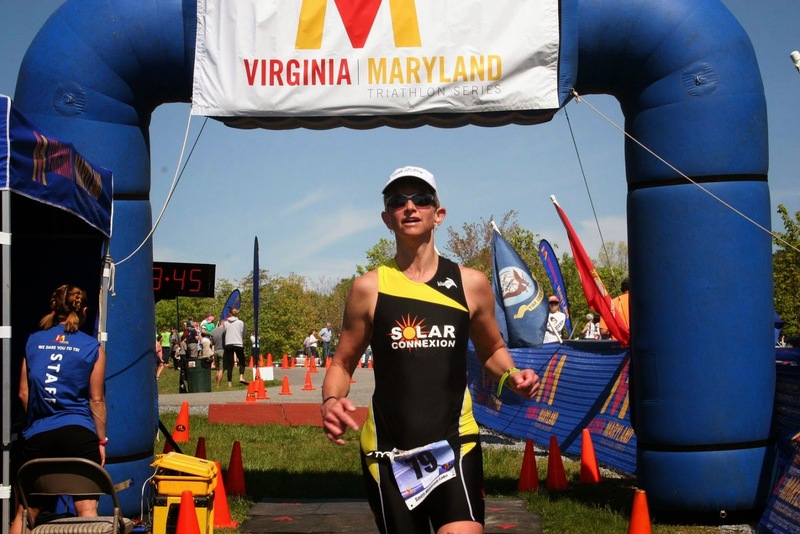 The 2016 calendar lists 24 race dates (some offering more than one distance on a day) so there are plenty of opportunities to toe the line in the series. 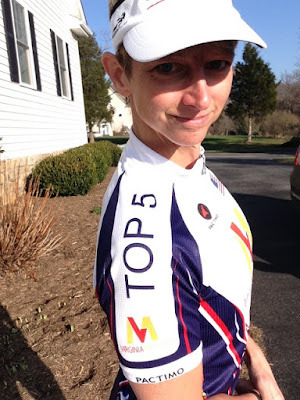 For our efforts, the top 5-overall and top-5 masters finishers received a custom cycling kit of bib shorts, a jersey, and socks. Atop one shoulder it says "Top 5." This was my sixth year racing in the series and fifth year as a "qualifier" with 5 or more races (2014 was a shortened season due to my artery). In 2010 - 4th Masters; 2011 - 1st Masters; 2012 - 2nd Overall; 2013 - 3rd Overall; 2015 - 1st Overall. I guess I can retire now! 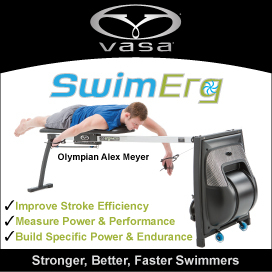 I do enjoy working toward goals beyond a single race, be it a series or a qualification. In this case, getting the fifth race in meant heading to Giant Acorn less than a week after returning from ITU Worlds. Without the series goal, I may not have added this one last race to my calendar, and Giant Acorn ended up being one of the most enjoyable races I have done all season! 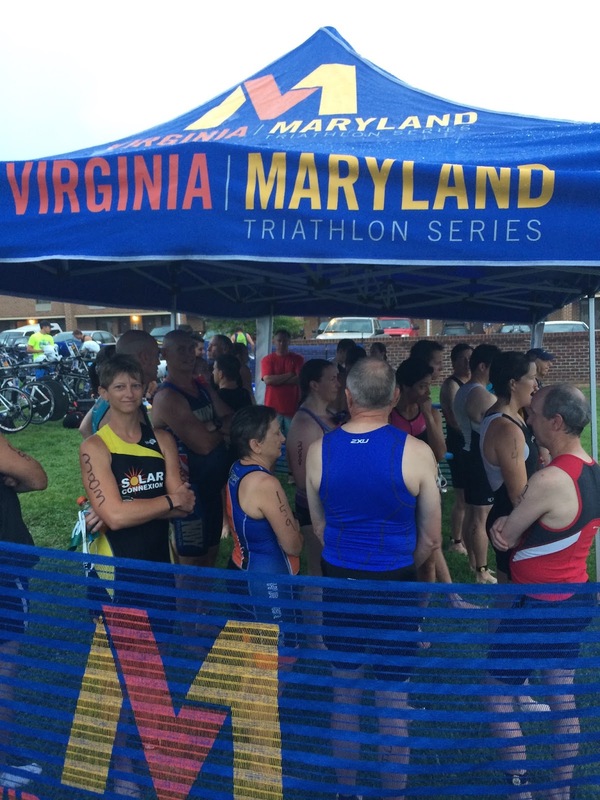 Thank you to the Virginia Maryland Triathlon Series for so many great local racing options for everyone from beginners to seasoned competitors. 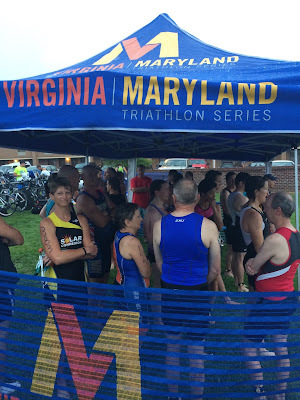 They put on terrific races that are well managed, dependable, and lots of fun. I marvel at the logistics required to put on all these races week after week, in a variety of venues, to deal with Mother Nature, and to make the hard calls that are sometimes required. I am grateful to Greg Hawkins, Don White, and the terrific staff that work hard so we can put our training to the test among a field of competitors while exploring the water and roads of our beautiful region. I'm looking forward to next year! Colonial Beach Double - rainy first day!